Three months into Donald Trump’s administration there is more cause than ever for critical analysis of Washington politics. But much of the press is having trouble countering Trump’s “Reality TV” dramatization of news. They attempt to achieve a false balance by presenting opposing views, even if one side is truthful and the other is lying. Having a president who’s suspected of colluding with Russians to steal an election is hardly the time to go soft. It is not the time to appease those in power or pander to wingnuts who will never tune in anyway. Yet that’s exactly the direction that MSNBC appears to heading. In recent weeks they have hired or promoted some decidedly right-wing personalities. Former Fox News anchor Greta Van Susteren now has her own show on MSNBC. Former communications director for George W, Bush, Nicolle Wallace, also just premiered a new program. Likewise conservative pundit Hugh Hewitt. This week MSNBC announced that it has hired old-school conservative George Will away from Fox News. These roster changes are especially puzzling at this time. MSNBC has built a brand that appeals to a more progressive audience. Despite having a former Republican anchoring three hours in the morning (Joe Scarborough), and a generally straight news profile during the day, their prime time lineup leans openly to the left. 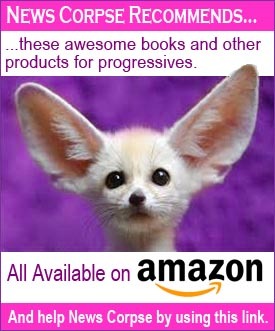 Chis Hayes, Rachel Maddow, and Laurence O’Donnell are not shy about expressing their liberal opinions. It’s a surprising and inspiring success story. Any network would be turning cartwheels and striving to replicate that success across its dayparts. So why is MSNBC going out of their way to bolster a winning lineup with right-wing losers? None of the new “talent” has demonstrated any appeal to MSNBC’s audience. Van Susteren, in fact, is an obvious hole in the schedule, dipping noticeably between her lead-in and lead-out. And the viewers that might be interested in these new faces are genetically averse to ever tuning in to the radical socialists at MSNBC. Why should they when they can get all the wingnuttery they desire on Fox News? And if it’s caterwauling debates that they want, CNN already has the market cornered on that. There is no shortage of liberals who could be brought into the MSNBC family. Joy Reid already has a Saturday morning show that gets more viewers than many weekday shows on CNN and Fox. They could have moved her into the time slot they gave to Van Susteren or Wallace. Even Keith Olbermann was in talks to return to MSNBC. His last stint with the network was the last time they challenged Fox. But according to Olbermann, they told him he would have to refrain from his “fiery” commentaries. That was an untenable restraint, so he walked. It’s hard to know what the suits at MSNBC are thinking. There is clearly an appetite for news commentary that counters the powerful elite in Washington. It’s a programming niche that is unfilled elsewhere. Plus, it’s a necessary defense against the dangerously erratic Trump administration’s assault on America. Where else can we go to get reality-based news about climate change? Who else is covering voter suppression and gerrymandering? Which other network is allotting time to racial and gender discrimination? And what about our President’s potentially treasonous connections to unsavory figures in Russia? Fox News deliberately downplays any unflattering news about Trump. CNN reports it, but puts on crackpots who disseminate absurd justifications. That leaves MSNBC as the one network that honestly covers Trump’s dark side. For that reason alone they should not be adding to the pro-Trump voices in the media. We already have plenty of that and far too little truthful common sense and compassion. UPDATE: There are rumors that MSNBC may not renew the contract of Lawrence O’Donnell despite the fact that his ratings are at a record high. He is beating CNN, and challenging Fox News. This would be good time to let MSNBC know that we demand they keep O’Donnell and stop sucking up to the right. You can call them at 212-664-4444 and email them at letters@msnbc.com. Really had very little use for MSNBC since Comcast took over. Rachel, I watch every now and then on YouTube, but there really isn’t anyone else I find interesting enough to follow on a regular basis. Sometimes, Lawrence O’Donnell has a few prescient comments, but Olbermann, if anything, has gotten even MORE inflammatory since leaving MSNBC. Can’t imagine Keith will ever return if MSNBC keeps pushing towards what it thinks is balance. Hate to say it, but, for once, O’Lielly may have been right about what MSNBC has become. He once said that, if Comcast took over, MSNBC would be a more traditional balanced network, and that “it wouldn’t feature Keith Olbermann.” And MSNBC seems to be headed that direction. 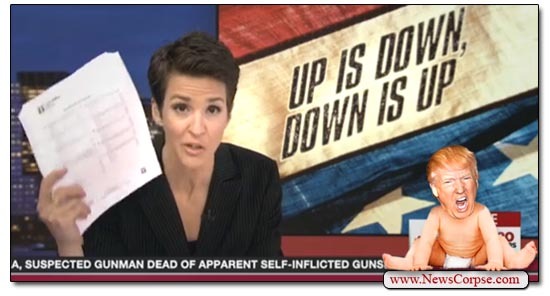 But then, Maddow and O’Donnell were always more on the even keel than Olbermann ever was. Leastaways, they could sound that way. Of course, MSNBC was never the liberal bastion he and his fellow pathological liars always insisted on describing it, either, but if Comcast wanted to move MSNBC closer to the center, it doesn’t appear to be working very well. I still think that a network like MSNBC has value. My point in writing this wasn’t to bash the network, but to nudge it back to its core strengths. It’s not perfect (by a long shot). but it’s closer to a center-left viewpoint than anything else on mainstream TV. We need to let them know that if they want our support, they better deliver what we come for. It does seem that MSNBC is trying to give CNN some competition in the quest to become FOXlite. This entire article is 1000% TRUE!!! I can’t stand Nicole Wallace because she is an uninformed BORE. The way the 11pm host- what’s his name- fawns over her is disgusting and unprofessional! Is he “sleeping” with her or trying to?George Will is a old school hard line racist who has been around on and off television talk shows for centuries! Why put this dinosaur on MSNBC? To lie for the republicans? He has absolutely nothing to offer ANYONE. Greta Van S is horrible. Her voice grates on my nerves. She brings NO INSIGHT to any discussion of news stories and her show is total boring formulaic. Why was she hired? MSNBC is RACIST. I am waiting for their class action lawsuit to break or discrimination lawsuit to happen. Yes, Joy Anne Reid should have been moved BACK to primetime for all the reasons stated in the article. Bringing Keith Obermann back would have been wonderful! He never should have been fired and the reasons for doing so were bogus. Go on and kiss up to the racist-fascit trump white house MSNBC “suits.” Your network which is currently a breath of fresh air WILL suffer with a lost of viewership. Progressive Folks and all people who simply don’t want propaganda for “news” listen up: Amy Goodman of Democracy Now! is still on television, and comes on several times each weekday on channel 69, Cablevision. She is also on Time Warner cable. ALL will NOT be lost if MSNBC goes to bed with the fascist-racist trump debacle (I won’t call it a presidential administration). Maybe they want to DIE/TANK in the ratings? Why else would they old has beens from “f*x news”? Yes-you are right. 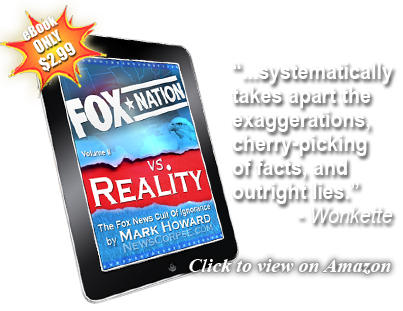 I also wondered how Foxx False news people wind up being “bounced to or hired by” MSNBC. Is it possible that MSNBC has been quietly gobbled up by the Fox system.? If this be the case, then I can’t watch MSNBC with any feeling that i am NOT listening to propaganda.